Killen Falls is a magnificent cave waterfall that spits out of Emigrant Creek to a 10 meter drop and in to a shallow rock pool below. 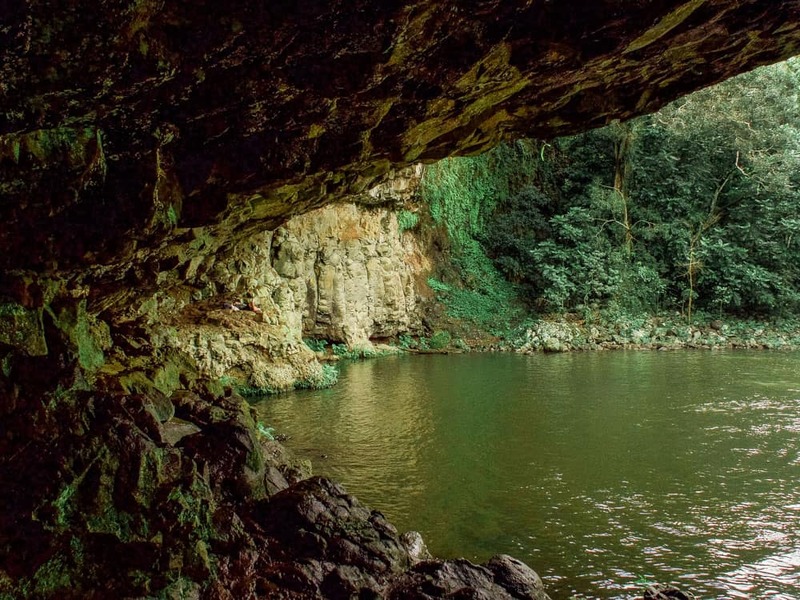 This place is the perfect little adventure get away from the hype of the iconic Byron Bay. 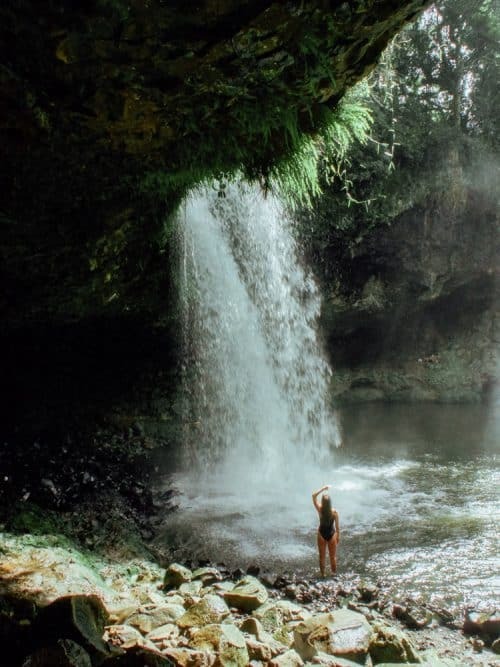 Killen Falls is one of several waterfalls in the region and a must see location on your visit to Byron Bay and Northern Rivers NSW. Who doesn’t love an awesome waterfall adventure, am I right?! 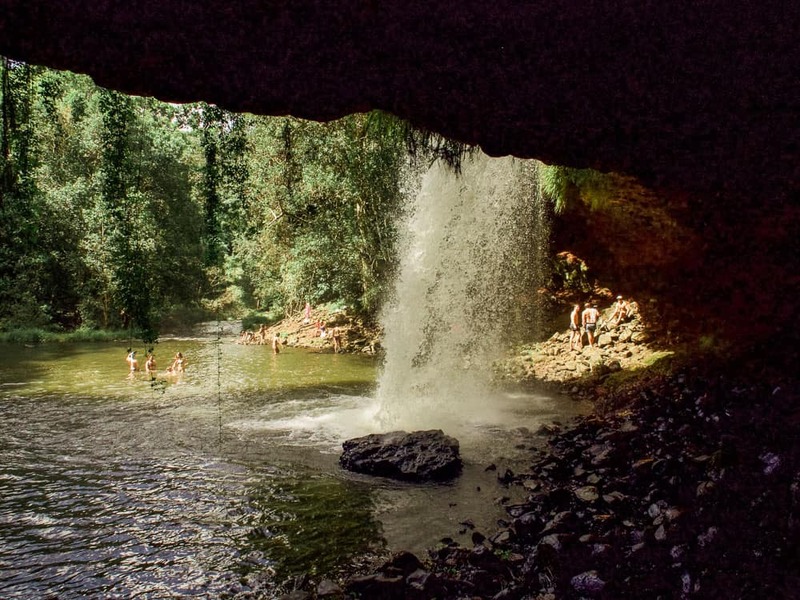 Killen Falls is a 30 minute drive south from the main hub of Byron Bay. There is a car park at the top of the nature reserve and you will have to hike down to the falls for approximately 10 minutes. 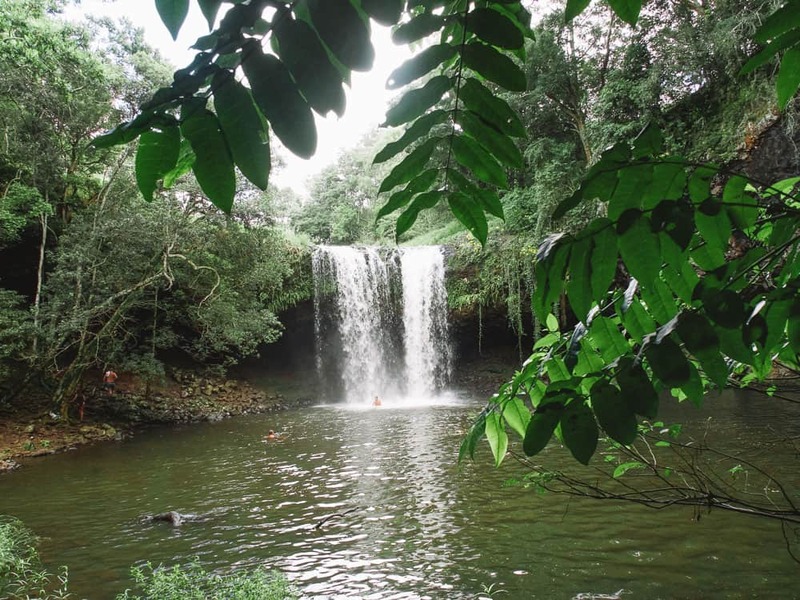 It is an easy hike through beautiful bushland and it is suitable for all levels of hikers. There is no entrance fee to access Killen Falls so just park your car at the top and follow the signs. As you begin your walk down the trail towards the falls, the path will fork off to the left to where you can find a wooden viewing platform that overlooks Killen Falls from above. The water source that creates this beautiful waterfall flows out of Emigrant Creek and down the valley till it reaches a 10 meter drop in to a large swimming hole below. 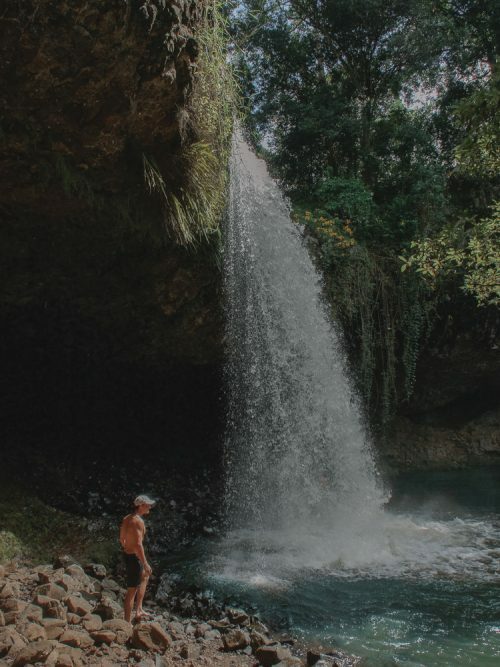 When you reach the bottom of the trail you will hike along large river stones on the creeks edge till you reach the swimming hole and the magnificent Killen Falls. The rock has eroded significantly behind the waterfall which forms an impressive cave that you can walk in to and get well behind the falls. You can also scale around the larger cliffs in the bowl like amphitheater and find yourself in some other smaller caves. 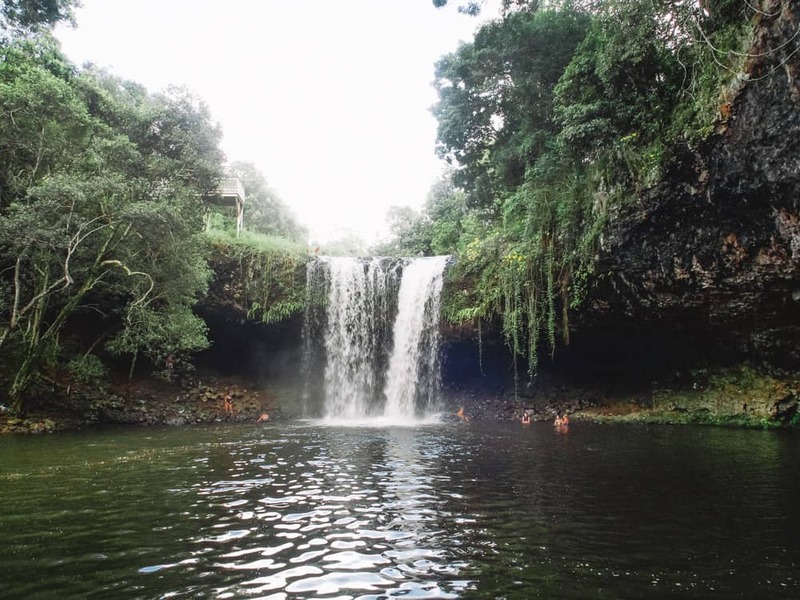 Swimming under the falls is allowed but it is not recommended for any cliff jumping as the depth of the water in the swimming hole is too shallow. The best time to visit this waterfall is early morning around 8-9 am to beat the crowds. There are no toilet amenities here so be mindful of that. You will also have to take your own food and water as there is no means of a shop in the area, an even better excuse for a picnic down by the falls! The water temperature is quite fresh in the mornings and afternoons, but once the suns rays fill up the amphitheater and the swimming hole, it quickly becomes more bearable and enjoyable. The day before I visited Killen Falls Byron Bay it rained heavily and therefore turned the water a bit of a brown colour, but by all means the water was still clean. 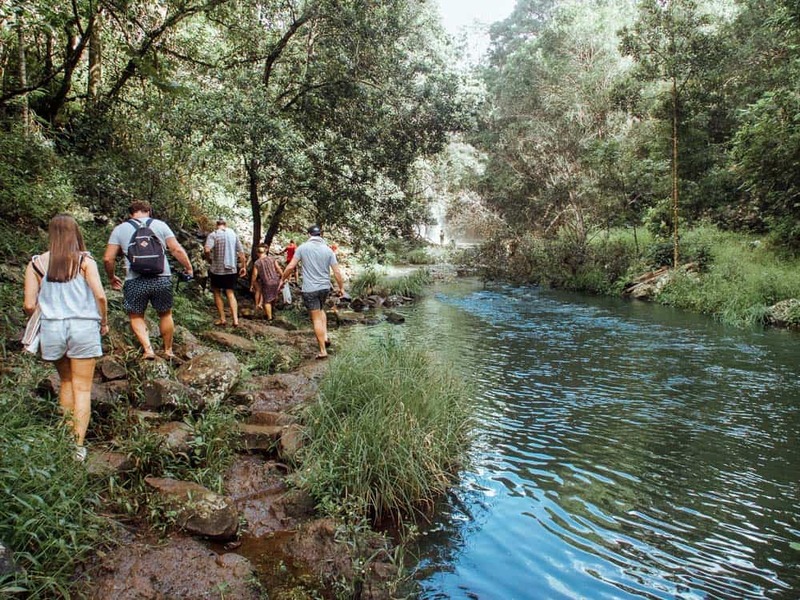 Killen Falls is best visited on a day trip from Byron Bay and there are countless accommodation options in the main hub of Byron. You can CLICK HERE to search for hostels, hotels and camping grounds. 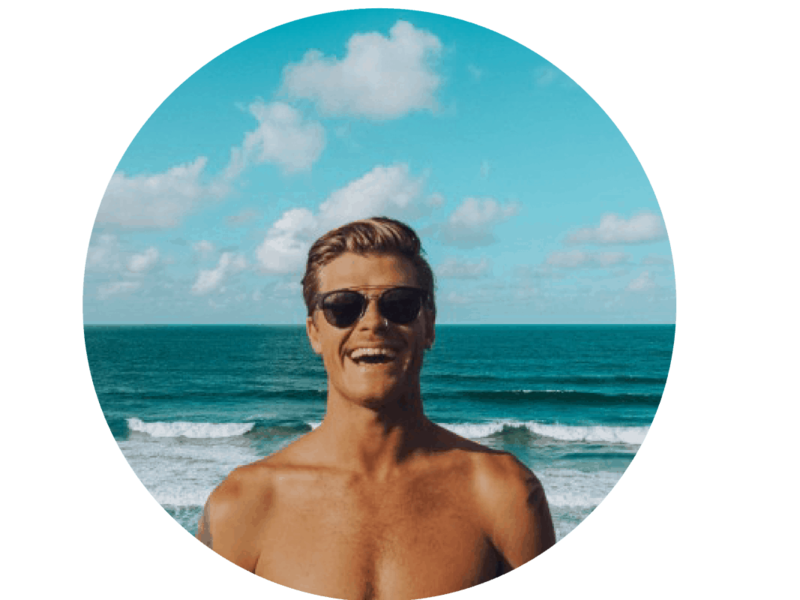 The stretch of coastline and hinterland areas between Byron Bay and the Gold Coast is saturated with awesome beaches, lakes, waterfalls, hikes and all around naturalistic adventures waiting to be had! This is what Australia is all about and what I aim to share with you all in my detailed guides. 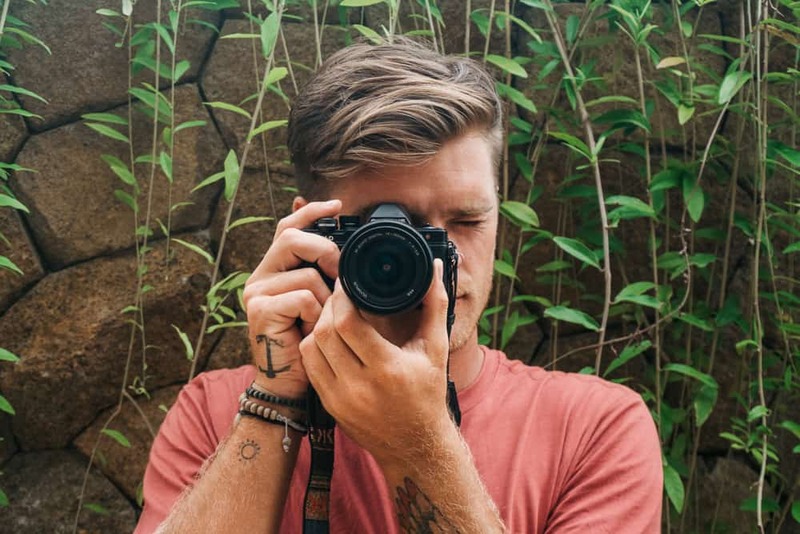 If you feel I have missed anything in this article please leave me a comment below and I will get back to you as soon as I can!